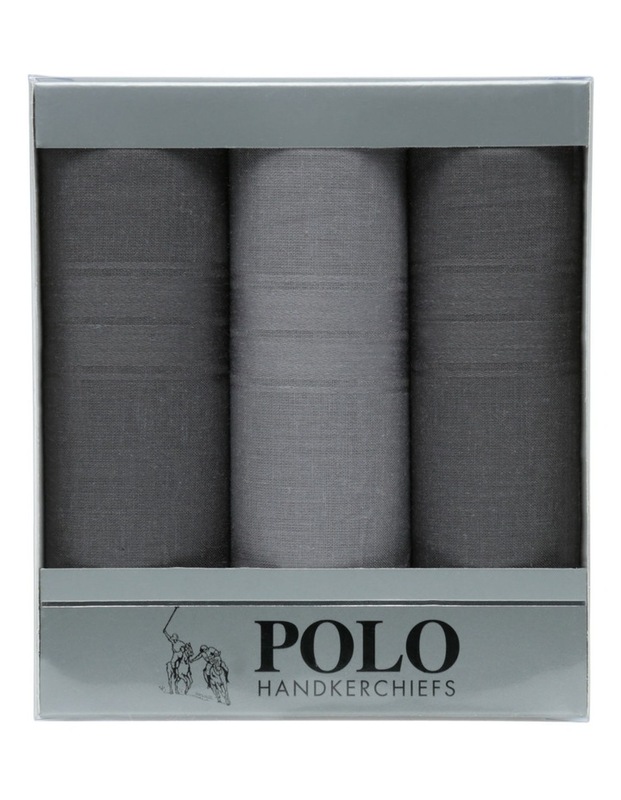 POLO branded Gift Box of 3 plain dyed mens handkerchiefs. 40 x 40cm 3 plain dyed handkerchiefs made from 100% cotton. Fashion colours, all gift boxed.